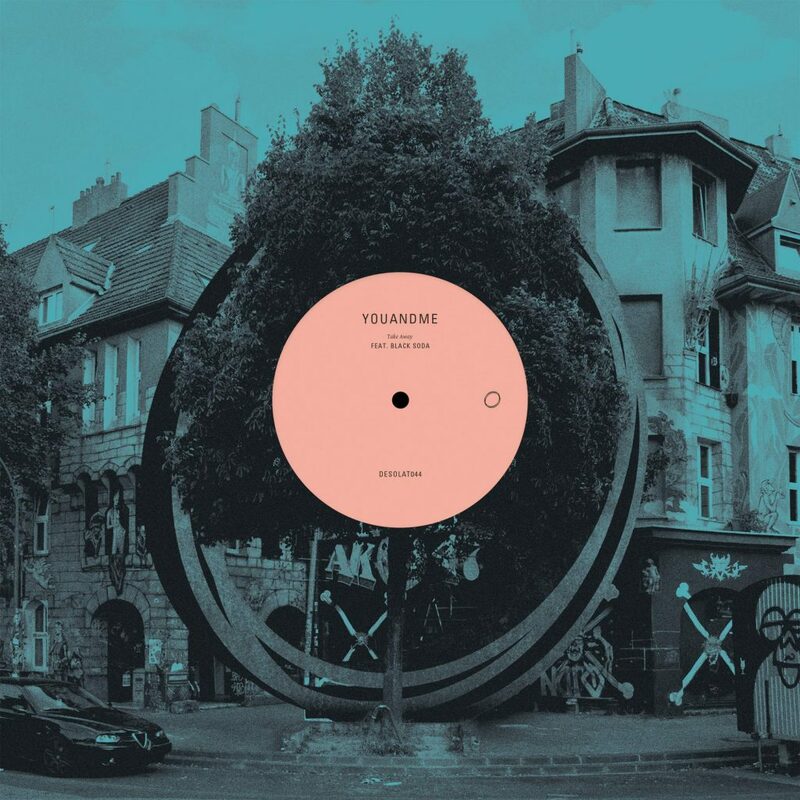 youANDme is acclaimed collaborative project between Berlin based pair Martin and Daniel. They make raw, emotive underground sounds and Martin recently turned out a well received full length album on Ornaments that explored far and wide. They did official works for artists like Moodymann, Radio Slave, Seth Troxler, Lawrence and many others. They also run Rotary Cocktail and 3 other mysterious labels. Take Away was written in summer 2014 with vocalist Black Soda from South Africa. The track is made from various hardware synth, and is filled with feeling. It is built on a bed of pinging drums and coarse claps, but the heaviness lifts with the arrival of Black Sodas breezy, spoken word vocals and some colourful xylophone like melodies. Its a proper underground anthem in the making, frankly. Then comes Loco Dice with his version. It is chunky, with grainy, sheet metal claps, twisted vocals and skewed synths that all make it robust and masculine. Sure to be massive when dropped in the right club, it is a fine bit of work from the boss. Pablo Bolivar then steps up to remix and flips the track into a more uptempo, gliding house cut with starry melodic patterns, punchy drums and filtered vox. It builds and builds to a peak and then implodes under emotive arps that are dotted left, right and centre, no doubt owning floors in the process. Mysterious Back To The Void takes the original into the proper dub techno dungeon. Last but not least there is Instrumental Version.